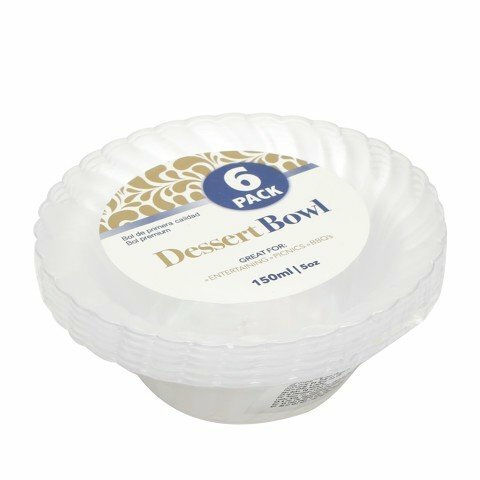 Dessert Bowl 150Ml Clear 6Pk. 150mL Capacity. Clear with Ribbed Sides. PS. 95g Packaging: Shrink Wrap with Colour Label.